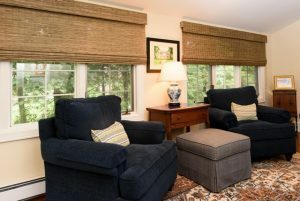 Roman shades are an extremely popular choice for window treatments today. 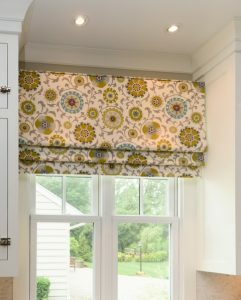 Roman shades are very versatile and can fit into many different styles of decor and room types, including kitchens, family rooms and children’s rooms, as well as more formal rooms such as living and dining rooms. 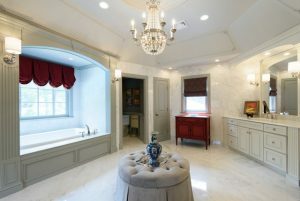 They can be designed to provide both privacy and beautiful decoration. 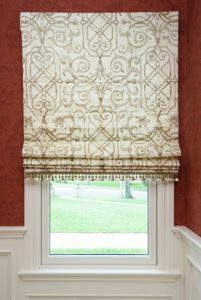 Roman shades can be made from a wide variety of materials. 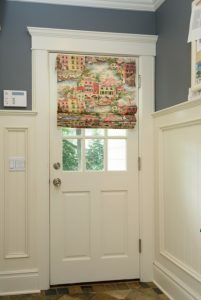 They primarily are made from fabrics which can provide elegance and interest with texture, pattern and color. It also is popular to make roman shades from different types of wood including grasses, bamboo and reeds. This can create a more casual look. 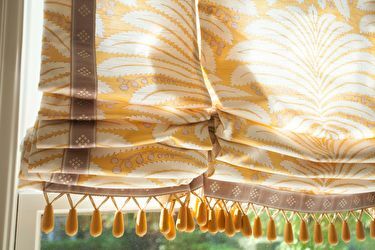 Roman shades come in a number of different styles including flat roman shades, London shades, hobbled shades and relaxed shades. 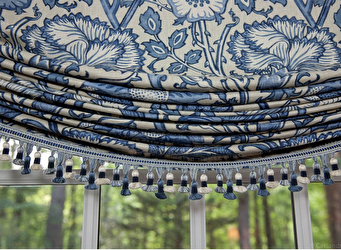 They can be layered underneath curtain panels or stand on their own. 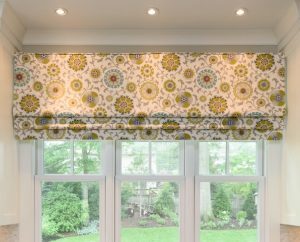 A roman shade with a bold pattern or color can really make a statement in the room, while a shade with a soft color, pattern or texture can serve as a soothing back drop. 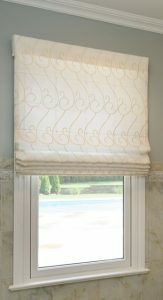 Roman shades also are functional in that they can be designed to block out the sun and shade a room. They can be lined in either a light filtering liner or a blackout liner which will improve insulation for optimal energy-efficiency and privacy. Typically, they are raised and lowered with a cord system but also can be made without cords or cordless.